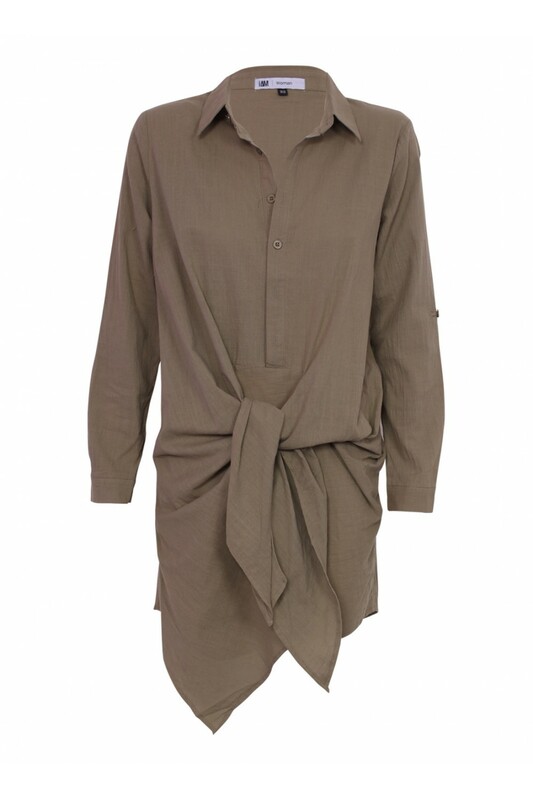 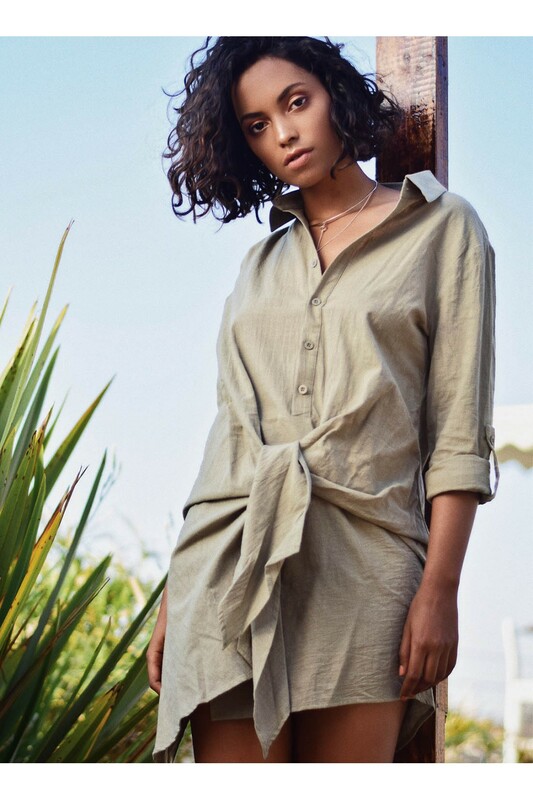 Long sleeve khaki shirt dress with button up detail on chest. 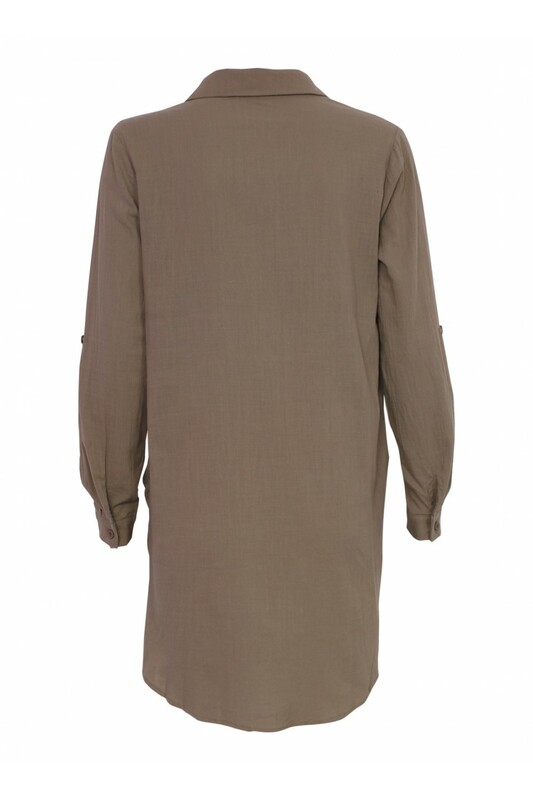 Sleeves feature concealed roll up sleeve tabs. 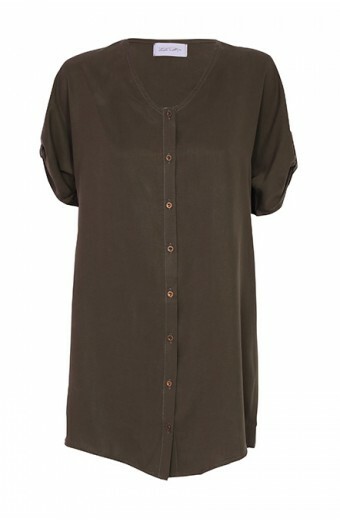 Dress features front-tie detail and asymmetrical hemline. 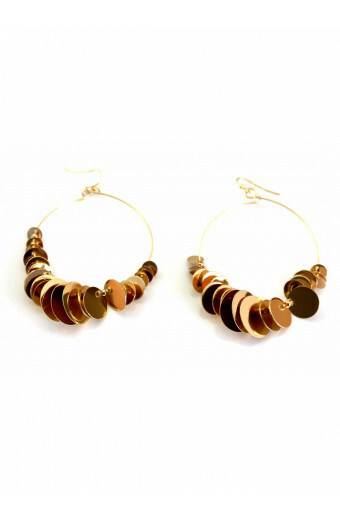 Pair with sandals for a chic yet comfortable, outdoorsy Spring ensemble.